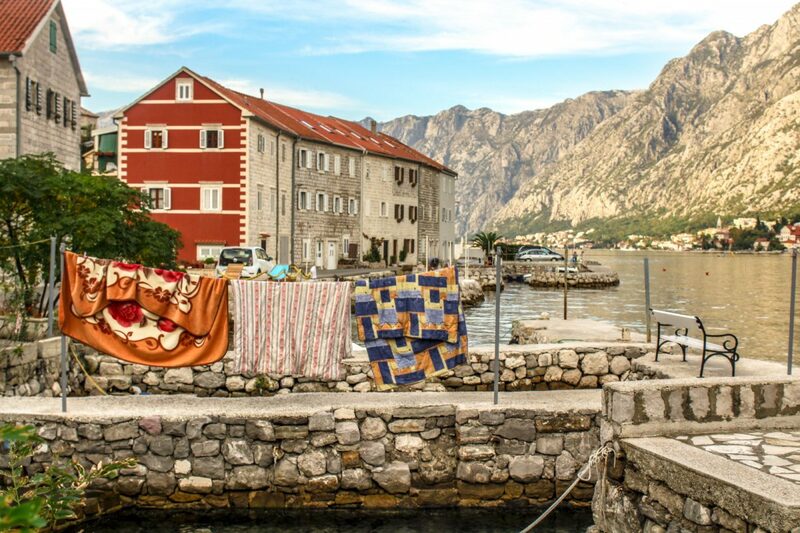 Not many folks think about Montenegro as a country where they could possibly live in as digital nomads or expats. And why would they do it at all, right? Life in Montenegro though can become quite an experience. Its tiny size and convenient location help to discover the entire Balkan Peninsula. Relatively low prices help to have a comfortable life. And an abundance of natural beauties can surprise the most demanding traveler. I have visited Montenegro for the first time 9 years ago. A short two weeks visit was not enough, so I set a goal to return. And I did, but not as a tourist. I came here as a digital nomad. Allow me to introduce you to Montenegro and who knows, maybe soon enough you’ll want to come here and spend at least a few months yourself. Montenegro is one of those Balkan countries where prices greatly depend on a season. Life can be pretty cheap here only if you plan to stay from October to May. From June to the end of September prices for rent always skyrocket and there is no way to negotiate with a landlord. Just for the high season alone, you may end up paying the same amount of money as you would pay for the entire low season. However, not only rent prices go up. Restaurants, cafes and street food stalls raise prices for their goodies. By law, every year during the high tourist season grocery stores also set up special prices for tourists only. Locals shop at one price while tourists always pay more. All the products in stores around the country have blue, red and orange price tags. Blue ones are available to locals only. Red to tourists and then produce with orange price tags is for everyone. As you have probably guessed, prices on blue tags for locals are always lower than those red ones for tourists. Even if you take a product with a blue tag, the cashier will ring up your special tourist price. During the low season, a price for a nice furnished studio will be between 300-350 euros, one bedroom apartment goes for about 450 euros, excluding utilities. Those usually cost between 30 and 50 euros on average, depending on usage. In summertime and early fall, the same flat costs between 50 and 75 euros per night, making you overpay immensely. Another expense to take into consideration is a tourist fee. 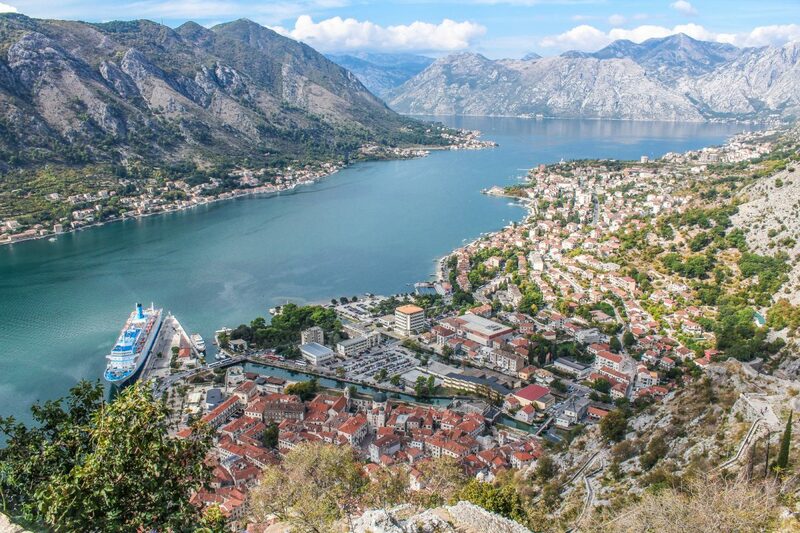 Every guest to Montenegro is supposed to pay a tourist fee in the amount of 1 euro per day. In some cities, like Kotor, for instance, this fee is even higher. Groceries and occasional dining out for two costs around 300 euros. I would not rely only on public transportation in Montenegro since it is not as stable as in other countries of the Balkan region. If you need to get from Podgorica to Budva, Bar, Ulcinj, Kotor or Herzog Novi and back, then it shouldn’t be a problem to hop on one of the buses. They usually run on time between larger cities. However, getting from one town to another sometimes may become a challenge. Buses can be late and crowded. You may end up spending more time waiting than actually on a journey itself. When we lived in Budva, we had to take a taxi on many occasions because there was no bus. Trains are not common in Montenegro. A railway line goes only between Bar city along the coast and Bijelo Polje in the North, and between Niksic in the central part of the country and Tuzi on the border with Albania. The only time I recommend taking a train is when you travel to/from Belgrade. In that case, a ride is very scenic and promising. It is actually one of the most spectacular train rides in Europe. If you would love to go off the beaten path and to remote areas, I recommend renting a car instead. It will definitely save you lots of time. Since the country is small, there are not a lot of options to choose from. The best places for digital nomads would be along the coast or around Kotor Bay because they are more vibrant and have more to offer. Kotor is one of the most expensive places and in summer it gets incredibly busy. Nearby Dobrota and Donji Stoliv are excellent choices for those who would love to be closer to fjords and in peace and quiet at the same time. Although there, you would want to have a car to feel more comfortable. Tivat, on another side of the Bay, is a wonderful option too, offering access to the sea. Ulcinj, on the border with Albania, is dirty and away from everything. Podgorica as a capital and as the largest city in Montenegro is rather plain. 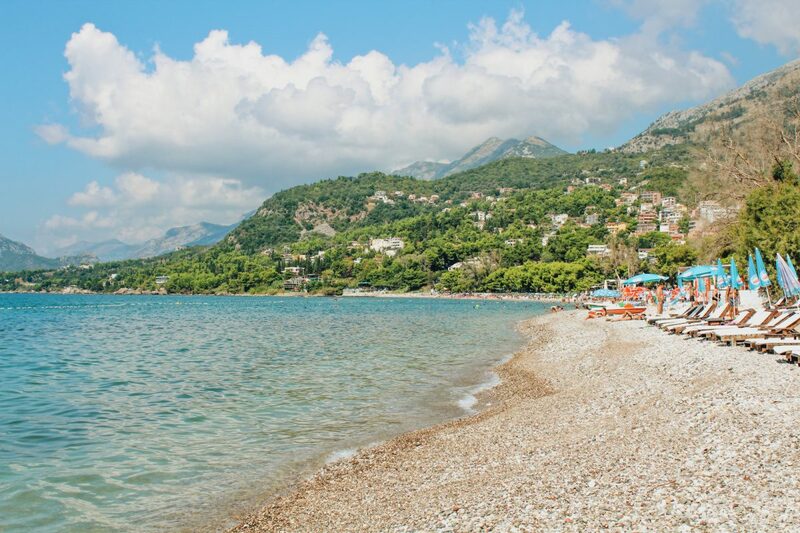 A lot of Russian speaking digital nomads choose Budva and Bar as their base cities. We also lived in Budva and truly enjoyed our time there. 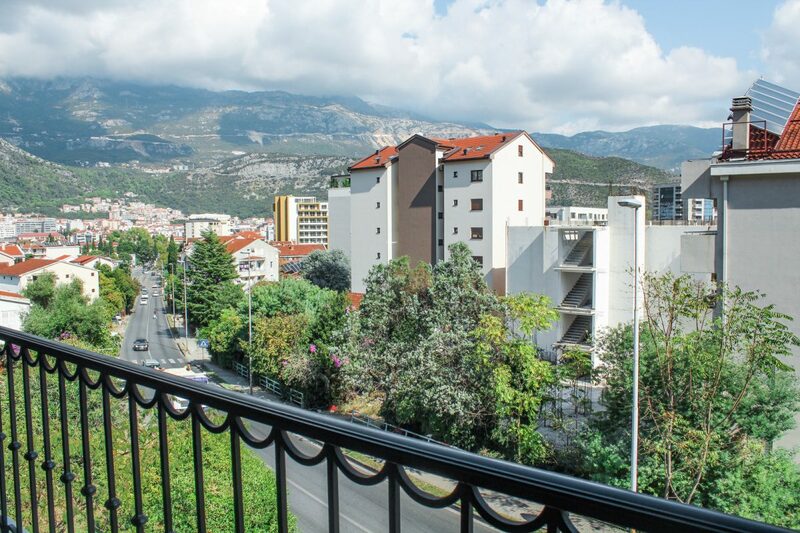 This city has good infrastructure, gorgeous beaches, is close to Lovcen National Park with beautiful mountains, is not far from Kotor Bay and airport. Wifi everywhere around Budva is excellent. Unfortunately, communication with locals may be a tad difficult. Not many people in Montenegro speak good English and sometimes you may need to use a translator to deliver a message. Ordering something at the restaurant or shop is not a problem (although street food vendors often do not understand a word) but when it comes to renting an apartment or car, a real challenge kicks in. If you speak any other Slavic languages, they may come in handy here. I do and find it way easier to communicate with Montenegrins when mixing all languages together. It’s weird, I know, but very helpful. When it comes to visa, I can tell that the best option probably includes visa runs or applying for a long stay visa. The last choice enables you to stay in Montenegro up to 6 months per calendar year. There is no such a thing as a visa for digital nomads. Getting a residency permit based on education is a quite difficult thing to do too. Visa runs are easy and officers almost never ask any questions. I am not a big fan of those but a lot of people we met in Montenegro did it all the time. A better option, after a visa allowance is over, would be to go to Albania, Serbia or Bosnia and spend there at least a month before returning back to Montenegro. Overall, Montenegro is a very safe country no matter where you go. Perhaps the reason for that is the number of people living there or that in general they are a pretty amicable nation but you can be sure you’ll be safe and comfortable. Locals sometimes seem to be grumpy and unfriendly but they don’t have anything against tourists. 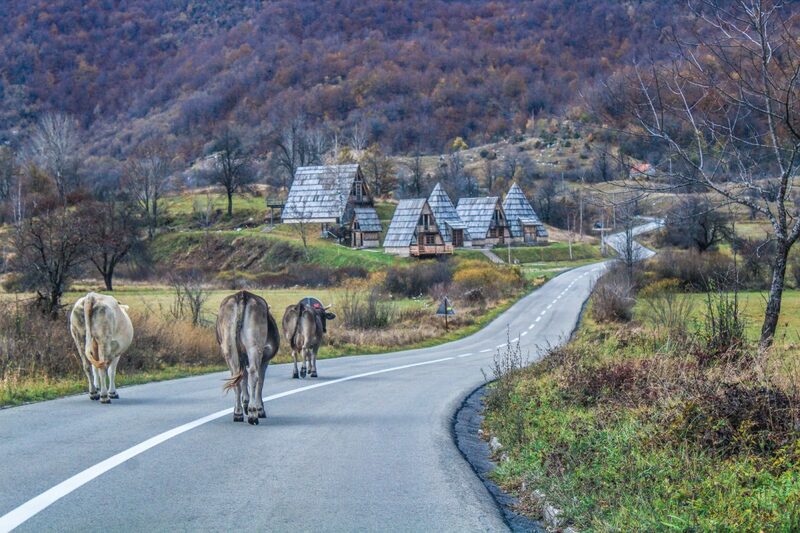 Montenegrin people know that tourism is their main income stream, that’s why they appreciate guests to their country. We also noticed during our life in Montenegro that there were no homeless people or annoying beggars. We could easily walk late at night in the old town or on the beach and feel very safe. 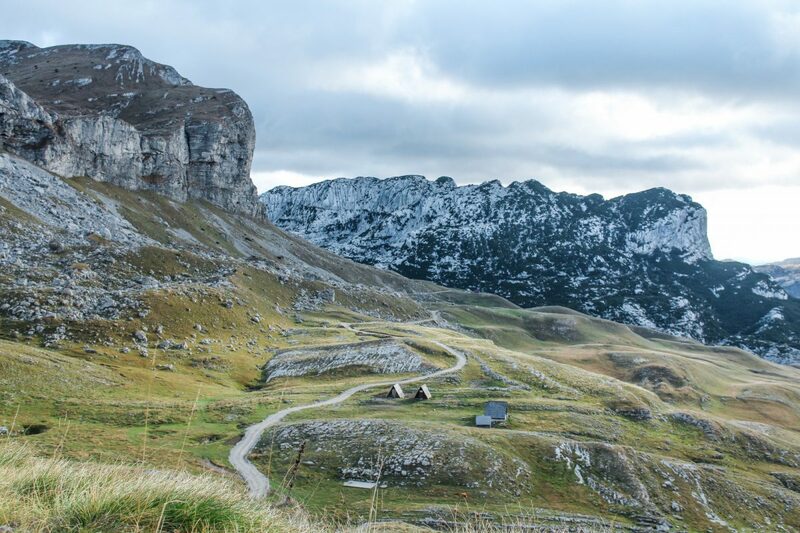 Montenegro is a wonderful country for digital nomads but mainly for those who love nature. If you are a city and party person, you will be bored here. After the tourist season is over, most of the vendors are gone, business are closed and not much is left to do except spending time in nature. Sea gets cold so you can’t swim. Without knowing a language you are not really able to go to movies or any events. Outside Podgorica, there are not many bars or lounges. The only option is to explore the country’s amazing mountains, canyons, gorges, and lakes. There are a lot of them and they all are so different and beautiful. But if you are not a nature person, it won’t matter and you’ll get bored quickly. Another thing to remember is that Montenegrin law doesn’t forbid smoking in public places. We, as digital nomads, from time to time love going with our laptops to cafes or coffee shops to work. Sadly in Montenegro, this is an impossible mission. If you are a non-smoker, you’ll have a hard time working outside the home. Post written by Anya from Road is Calling. 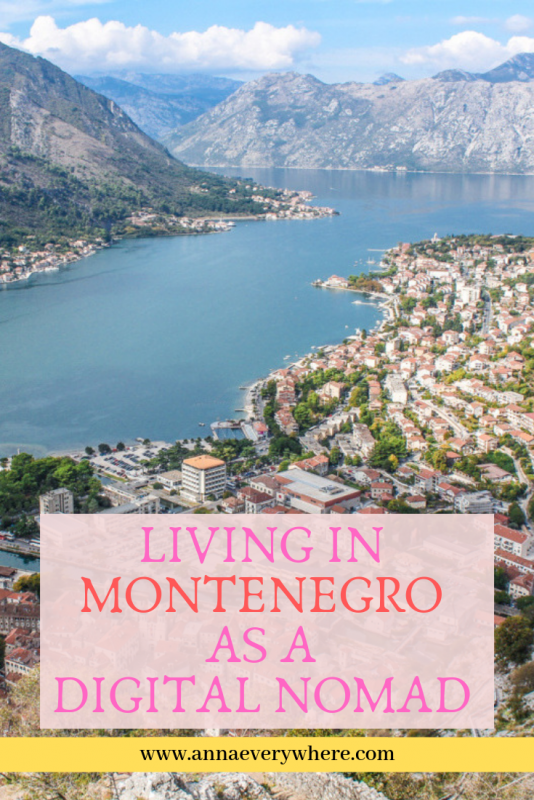 You can read more of her posts about Montenegro on her blog. Interesting read. I have never been to Montenegro. The country looks absolutely amazing and definitely worth a visit.